Authenticity, vitality and dynamism are the chief characteristics of the new Avenue line by Wenger. This black silicone strap men's watch is the perfect combination of durability and simple style, ideal for the modern, 21st century man. 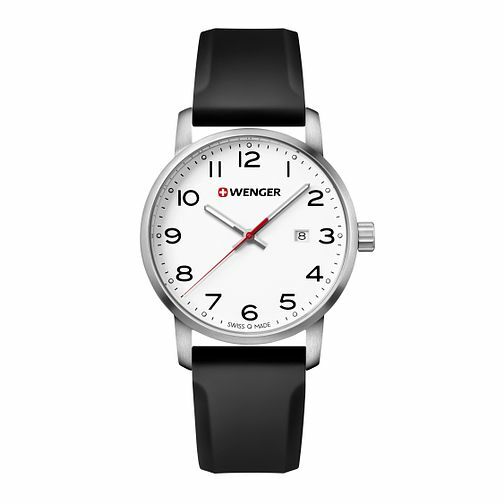 Its white dial, with discreet date window, contrasts the black silicone strap effortlessly.